"This beginners’ (introductory) interactive workbook is a result of live workshops. Achieving success in any endeavor or shifting burdensome difficulties is much easier and more effective using MINDFULNESS techniques. This form of MINDFULNESS is presented through The 7 Laws © process. Two more interactive workbooks are in the works! The WIN/WIN in 7 Steps, MINDFULNESS Magnifies Success series of workbooks build on each other. In order to reach SOLUTIONS, or to take charge of personal or business activities The 7 Laws © process offers special “focus” mechanisms to enhance identifying obstacles to solution-oriented results; and releasing these impediments to MINDFUL success solutions. 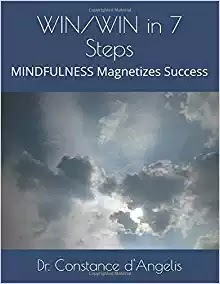 The MINDFULNESS Magnifies Success series includes a MINDFUL JOURNAL and Spark Questions in addition to other cognitive skills and information. I will be posting some of the Spark Questions online to assist you in your focused attention triumph. Take charge of your life and relationships; business; activities; and ardent, heartfelt endeavors. * Provide tools for you to achieve success. * Choose one or more endeavors on which to focus and overcome any and all impediments to your success. * This basic interactive workbook is designed to assist you in finding solutions that provide beneficial results. * Identify obstacles that keep you from reaching your goals and/or setting your objectives." One of many self-help books available today, but this one is unique because the author, Dr. Constance d'Angelis, is an extraordinary woman with unique talents. WIN/WIN in 7 Steps is well written with lots of space and pages for self-reflection and guidance toward creating the life you want to live. Dr. d'Angelis is a consummate seminar leader and provides personal guidance. If you're looking to change your life script, you might consider this workbook and its reasonable price. Yes, I can recommend WIN/WIN in 7 Steps. Patterns in Nature is a small collection of simple, not particularly interesting subjects which have been made interesting and unique with the assistance of digital photography. The subject matter includes cracks in the street, snow on rocks, dirty snow, bare trees, rocks, cattails in a pond. Next to each photo is a haiku poem. Victoria Rose has taken these less than attractive subjects and with her unique perspective turned them into something beautiful: art worth displaying in your home. Patterns in Nature is the first in her series on patterns. The book is well designed, has an attractive cover and would be a perfect gift for a friend or relative. I highly recommend this book for all ages, and for a book of photographic art, the price is reasonable at $8.00. ISBN: 9781597311717, $17.95, 210 pp. I am going to deviate from how I usually start my reviews (quoting from the back cover) in that the back cover information is basically endorsements for the book, and although they are right on, do not tell us much about the book or its author. 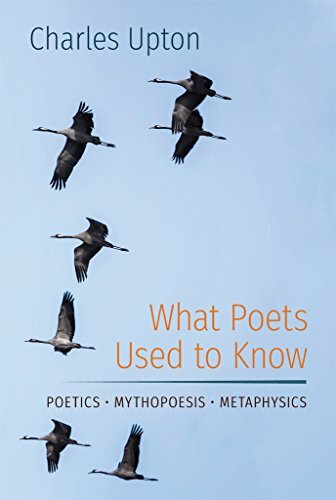 What Poets Used to Know is not an easy, light read in any manner, shape or form and probably will not appeal to the average reader. I am also from San Francisco, have a background in comparative religions, Homer, Basho, Kundalini Yoga, Carlos Castanada, Alan Watts, Gurdjieff and taught hatha yoga for many years and found this book quite a challenge. 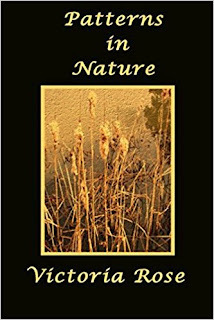 It's an eclectic collection of twenty-one chapters having to do with poetry with a strong leaning toward the metaphysical. Allow me to list some of the chapters: 1) Poetry, the Siege Perilous; 4) Mythopoesis; 7) The Metaphysical Uses of Metaphor, Kenning, Riddle and Rune in the Teutonic Tradition; 11) The Dark Side of Poetry: Terence McKenna, DMT, the Techno-Elves, and the Deconstruction of the Human Form; 12) Sufism, Spiritual Romance, and the Union of East and West; 14) An Exegesis of the Prologue to William Blake's The Marriage of Heave and Hell; 16) The City of Byzantium in the Symbology of William Butler Years: 19) The Curse of Poetic Subjectivism. 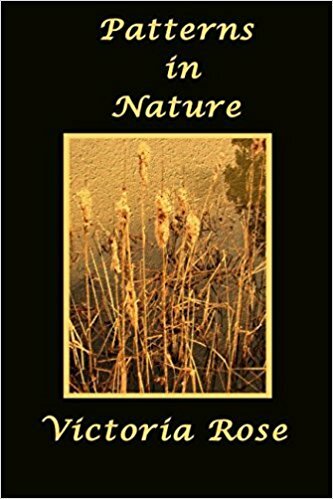 If you're a serious student of poetry or a seeker of truth on a spiritual path, you may find Charles Upton's writing of value, This book is not to be read lightly; it's more a book to be studied a little at a time. It is clear from the start that Charles Upton is an extremely well-educated, consummate writer and the quality of the book (its cover, paper, print, editing) are far above average. For the educated reader, a reader interested in metaphysical studies, What Poets Used to Know will be worth the time and energy, adding to their collective knowledge. Upton quoted one of my favorite haiku poems from Japanese poet, Basho, to demonstrate phanopoeia (the power of poetry to make us see images with our mind's eye): "An old pond - Then a frog jumps in, Kerplop!" However, the interpretation with which I am familiar is slightly different: "The old pond - A frog jumps in - Plop!" Regardless, yes, you can see it in your mind's eye. For the rest of us, much of what Upton has to say may not appeal to the average reader. You know who you are.